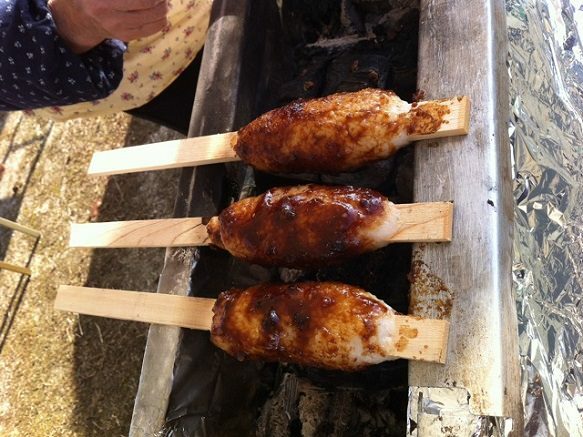 Gohei-mochi is a skewered grilled rice cake famous in Gifu Prefecture. 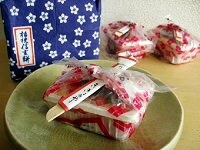 Gohei-mochi can be shaped in a variety of ways from round to flat ovals as long as they are skewered. 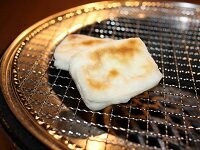 The rice cake is covered in either a soy, miso, or sesame-based sauce and grilled. 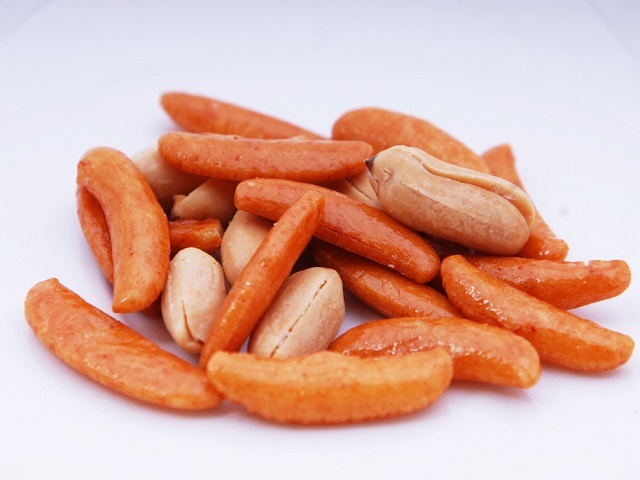 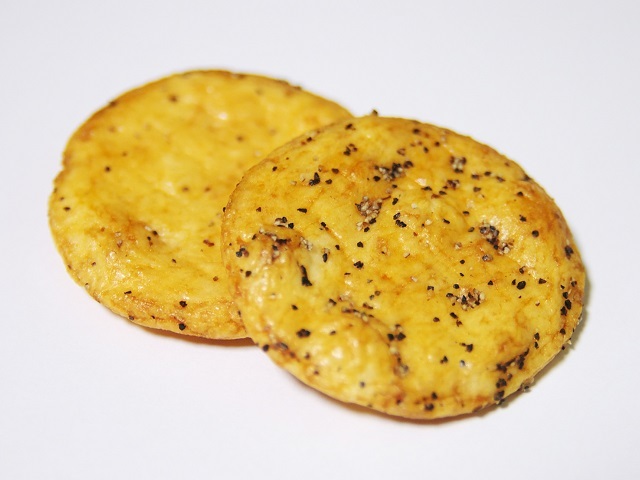 This simple snack is very popular and can be found at most food stalls at events.